Amazon is offering ‘certified refurbished’ Mi products such as smartphones and wearables on its platform with great discounts. The limited period sale is already live on the e-commerce site and will continue till December 14th. 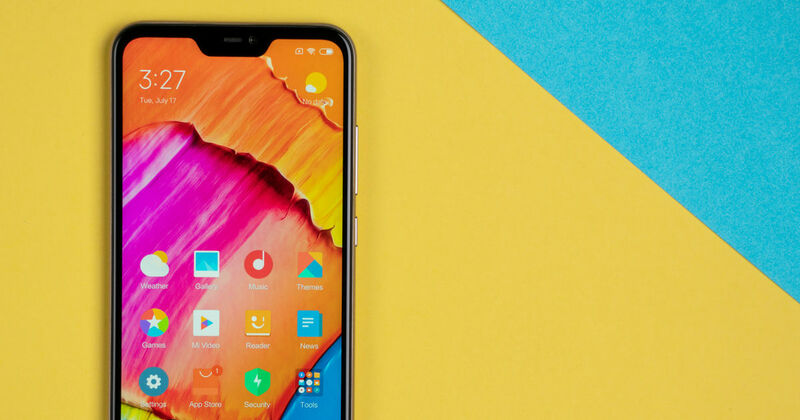 Buyers can purchase the likes of Redmi 6 Pro and Mi A2 smartphones at a discount, along with older smartphones and popular accessories. Furthermore, all the refurbished products will have a maximum warranty of 6 months and ICICI Bank users can avail an extra 5 percent discount on EMI transactions. An exchange benefit can also be availed on some of the devices. Amazon is offering refurbished Redmi 6 Pro at a starting price of Rs 9,899. The actual price of the handset is Rs 11,499 for the base 3GB RAM + 32GB storage variant and Rs 13,499 for the 4GB RAM + 64GB storage option. The latter will cost Rs 11,699 as part of the sale. The Xiaomi Redmi 5 was announced in India earlier this year and Amazon is selling the 32GB storage refurbished variant of the handset for Rs 7,899, while its 64GB storage model will set you back to Rs 9,599. As for the Xiaomi’s stock-Android smartphone, the Mi A2 is available in Amazon’s refurbished programme. The handset is available for Rs 13,949 instead of its original price of Rs 17,499. The company’s selfie-centric smartphone the Redmi Y2 (4GB + 64GB) refurbished variant is available for Rs 10,499 down from its launch price of Rs 12,499. The handset comes with a 16-megapixel shooter on the front backed by some AI wizardry. The Xiaomi Mi Max 2 is a bit dated, but it’s still a good option for those looking for a big display and battery smartphone. The handset’s 4GB RAM and 64GB storage configuration variant can be purchased for Rs 10,949, instead of its original price of Rs 18,999. Other than the smartphones, customers can also purchase Mi 3C wireless router at Rs 774 (originally price Rs. 1,999), Mi Band HRX edition at Rs 1,089 (originally price Rs 1,999), and Mi Earphones Basic at Rs 387 (originally price Rs 599) as part of Amazon India ‘certified refurbished’ sale.